Chief Executive Officer, Radmax Technologies, Inc.
Mr. Urso is a Senior Executive with over 25 years of experience in the areas of innovation, business development, marketing, operations management and sales. Mike is a skilled leader with an impressive track record of transforming companies with commodity based, or incremental innovation strategies into innovation leaders. He also has extensive experience mentoring startup companies in successfully moving many from concept to commercialization. Prior to his current position, Urso served as the Vice President of Product Innovation for Saint-Gobain’s North American Gypsum business. While in this position he moved Saint Gobain from a position of innovation follower to being the innovation leader in the North American gypsum industry. During his career Mike has also held leadership positions as Senior Principal Consultant, Sirti, a Washington State funded, high tech business incubator with a successful track record of launching new companies or guiding successful exits; Vice President of Marketing, Potlatch Corporation, Wood Products and Resource Management Divisions; and Global New Business Development Manager and Global Composite Materials Project Manager, Dow Chemical Company. An avid outdoorsman, Mike has a passion for skiing, hiking, mountain biking, golfing and kayaking. Mr. Urso received a BSc degree from the University of Calgary, Alberta, Canada, and a MBA degree from Northwood University’s DeVos Graduate School of Management, Midland, Michigan. 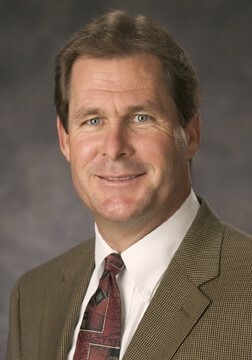 In 2008, Mike was named “CleanTech Open Mentor of the Year” for the Pacific Northwest region. The Cleantech Open is the oldest and largest cleantech startup accelerator program, with the mission to find, fund, and foster entrepreneurs with ideas to solve our greatest environmental and energy challenges. Mike maintains an active role in Spokane’s robust startup community. Mike is named on four patents from his time with Dow Chemical, Potlatch, and Saint Gobain. Mike enjoys all outdoor activities but has a passion for skiing, hiking, mountain biking, golfing and kayaking. Mike is married with two daughters. He holds citizenship in both the USA and Canada.